Don’t chase after traffic. Discover where the traffic is already going and get in front of it. Then redirect the traffic where you want it to go, directly to your profit centers. So many online entrepreneurs chase after traffic. Even veteran online entrepreneurs get caught up in this potential trap. Chasing after traffic is especially dangerous for the beginning online entrepreneur. They throw money after traffic by buying traffic before they know what they are doing. This can lead to lots of money going out with nothing to show for it. Listen. I’m not against paid traffic. I use it. I just strongly recommend that you create a proven system that takes a new person from prospect to customer before you pay for traffic. Especially since there are so many great ways to get high quality buyer traffic for free. Your mindset about traffic is critically important. When you view traffic the right way you are much more likely to do traffic the right way. Before we talk about what the profitable traffic mindset is, let’s talk a bit about what it’s not. Profitable traffic is not a one time event. I hear this often as an excuse for not being successful with traffic online. This traffic stuff does work, it just might be you didn’t work it right. Driving consistent, evergreen buyer traffic is a life long task. I’ve been at this full time for almost 10 years now. I still make creating new traffic one of my daily revenue generation rituals. The correct view is for the long haul, getting immediate, long-term and evergreen buyer traffic. While looking at traffic the wrong way is one of the common traffic mistakes, there are 3 other big profitable traffic mistakes you need to be aware of and avoid. On the surface it’s the magical thinking that profitable traffic and the success that comes with is just something that magically happens to a chosen few. And you are certain you are not one of the few. This is at best a glorified excuse for failing, even for not trying at all. At worst it’s a story some are committed to believing, because they are very committed, almost wed, to the notion that success is for other people, not them. The reality is that every single one of those people who are enjoying successful traffic started with ZERO TRAFFIC. Then they got the first person, then another, and then another and so on. They were willing to do the necessary things and work for the traffic they said they wanted. Implement the correct and current strategies for building traffic, work at it, and you’ll enjoy lots of evergreen buyer traffic. The bottom line is that building traffic works when you work, and when you work it right. Here’s another big profitable traffic mistake: relying on only one source of traffic. Back when I was a therapist in private practice I build many sources of referrals, which is the same as traffic offline. When I started writing a weekly relationship column for the local newspaper that quickly became nationally syndicated my practice exploded with referrals. I was full with a waiting list and was filling up the practices of colleagues as well. It was very, very tempting to stop nurturing other long term traffic sources and to not build any other sources of referrals. Knowing the worst number in business is “1” I continued to nurture all my other traffic/referral sources and build new ones as well. I wrote that weekly column for the local newspaper for 10 years. When that column, a major referral source, ended I was not panicked or affected at all because I had continued building additional sources of referral. The bottom line online is you want to make building traffic a life long daily pursuit so that you have multiple streams of traffic coming in from multiple sources. Once you get good at generating consistent traffic it’s very easy to believe you can then go do the rest on your own. And you will be able to do some. The reality is that the profitable traffic game online is ever changing. It’s really too much to try to keep up with on your own. For this reason and many more I will always have a coach and always be a part of a mastermind. I always want to have another set of trusted eyes on my business. Other people whom you trust can always see the things you can’t see, simply because it’s your business and you can get too close to be able to see all your options. The bottom line for you is to always have trusted eyes on the traffic generation part of your business. Remember when I said don’t chase after traffic, find out where the traffic is going, get in front of it, and then re-direct it exactly where you want it to go? And where you want it to go is your profit centers like your blog, your opt in pages, your product resource pages as well. Immediate traffic is traffic that you want to get right away. Content marketing provides that for you. 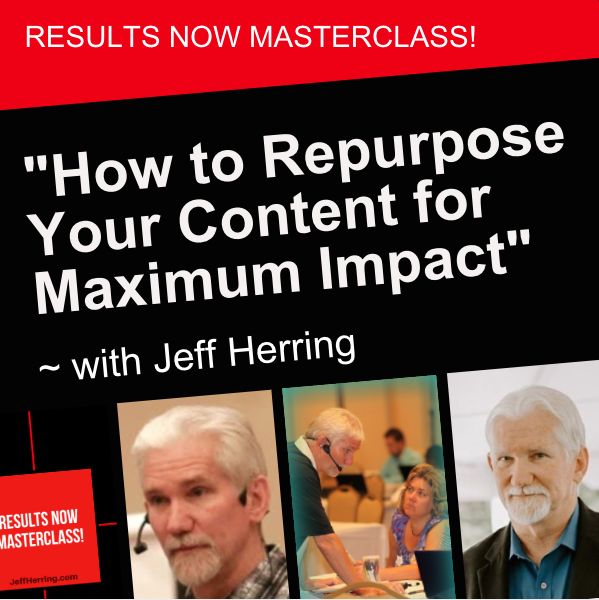 When you create a piece of content and put it on Social Media, LinkedIn, on your blog, and other places, you will get immediate traffic from that 20 to 30 minute investment that it took you to create that content and submit it. That is a great way to get immediate traffic. Now, imagine having that power at your disposal. 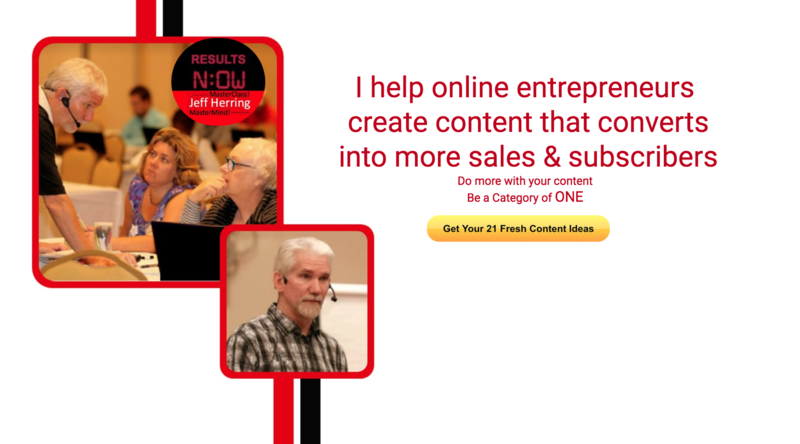 You need traffic, create some more content. Boom. Simple as that. Regular traffic means regular, daily, even hourly, consistent traffic from your efforts. Your content does that as well. Content that may be old to you is brand new to the person that finds it for the first time. On LinkedIn, on your Facebook fan page, in your YouTube videos. That’s immediate traffic and then regular consistent traffic. Long-term evergreen traffic is traffic that keeps producing for you day after day, hour after hour, year after year for you once you created the content. That’s evergreen traffic and that’s the kind of traffic you get when you get your content out there. You get traffic, you get benefits from something you did weeks, months, even years ago. Those are the three types of traffic, immediate, regular, and long-term evergreen that you need to begin taking advantage of right away. Now let’s get you some traffic with your content, shall we? Step 1 – Choose a specific topic in your niche – Interestingly enough, the more specific you can make the topic, the more buyer traffic you will pull. Cast too wide a net and the less high quality traffic you get. Cast a specific targeted net and the more high quality buyer traffic you get. Step 2 – Come up with the 3 most common mistakes most beginners make around that specific topic. These can also be mistakes everyone makes, beginners and veterans alike. Step 3 – For each mistake talk about how the mistake is made and what it looks like, how easy it is to make. You want to avoid making your prospect feel bad for making this common mistake. Step 4 – For each mistake include what to do instead. You are not giving away the farm here, just offering one small tip. Step 5 – Include a call to action to visit one of your profit pages and get your content out on Social Media, your blog and LinkedIn. Major congrats! You’ve just created and shipped an Evergreen Traffic Machine that will bring your immediate, regular and long term evergreen traffic. Now that you’ve created one evergreen traffic machine, how would you like to be able to create as many as you want whenever you want? I’ve been getting an incredible amount of buyer traffic from doing one simple thing on a regular basis on LinkedIn. 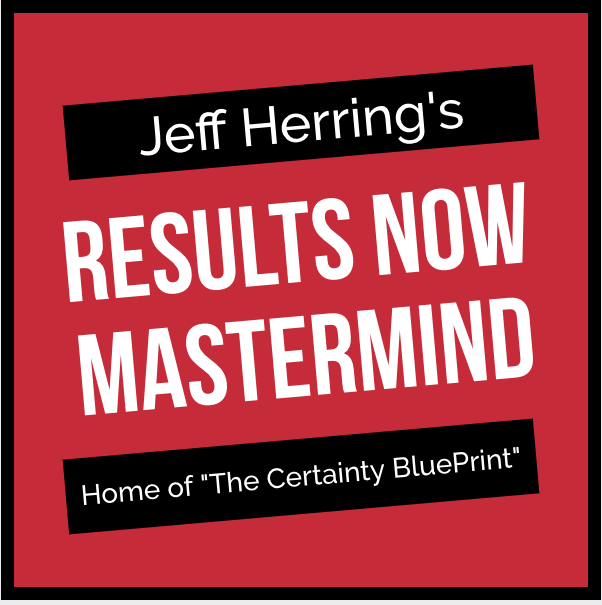 Here’s how we’re going to do it on this brand new free training: I’m going to bring you these strategies while you discover the profitable LinkedIn Traffic Mindset, how to avoid the really big mistakes, and on the Results Now Mini-Workshop portion of the show, I’ll walk you thru, step-by-step, as you create this strategy for yourself, right on the webinar! You want to make creating your evergreen traffic machines something that you do daily. While that may sound like a lot, when you see the results it will feel much easier. As you’ll see in the course, ETMs come in all forms – some as simple, quick and easy as an info-graphic, along with some that take a little more time such as blog posts, articles and videos. Building ETMs is one of my DRGRs – how’s that for alphabet soup? Said another way – creating evergreen traffic machine to build waves of highly qualified buyer traffic is one on my Daily Revenue Generating Rituals. I recommend it becomes one of yours too.